I don’t know if you are like me, but I love any and all kinds of vegetables! Their color, texture and shape, and fragrance; some only aromatic when cooked, are beautiful! Fennel is so perfumed and particularly strong with an Anise flavor that I love. Excellent just with a vinaigrette or braized. But, I opted to make it in a Tart, which seemed perfect for this season and ready to go for Fiesta Friday. Thanks to our favorite host Angie from The Novice Gardener, and thanks to our co-host’s this week Julie @ Hostess At Heart and Liz @ spades, spatulas & spoons ! Keeping mixing until you assemble the dough. Grease a tart pan (a round shape for me). Cut off the stalks and fronds of the fennel bulbs (you can make a delicious salad with them). Cut the end of the bulb then cut the fennel bulb in half. Remove the core (the hard center of the fennel bulb) and finally slice lengthwise. In a large pan, add the olive oil and cook over a medium heat the fennel with a pinch of salt and black pepper, until it turns golden brown color. When the color is perfect, remove from the heat and set aside. In a bowl add the whipping cream, the eggs, the salt and the black pepper. Spread the Emmental cheese into the bottom of the tart. Layer the sliced fennel on the top of the cheese and slowly pour the mixture on the top of the tart. Remove from the oven when the crust is golden. The tart has a sweet taste and is very flavorful with just a hint of the Emmental cheese. Bon appetit indeed! Looks delicious! Beautiful tart Linda!! 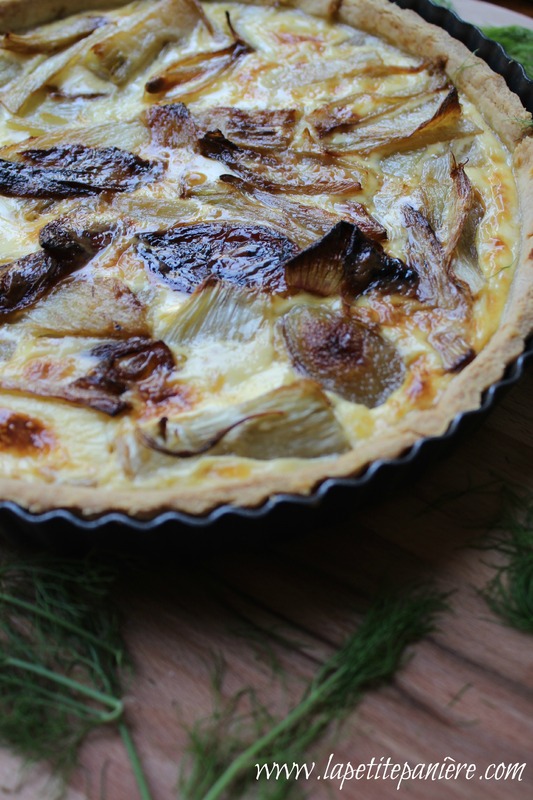 This tart really sounds delicious, the cheese and fennel are such a lovely combination. This looks delicious, creamy center and crisp crust. I also love fennel, to me it tastes faintly like artichokes. Strangely I love fennel, not so much dill or tarragon. Thanks for bringing this to FF. Absolutely beautiful and sounds amazing!! I adore fennel…what a delicious looking tart 🙂 Yummy! I adore vegetables too Judi, and if it wasn’t for John, I would probably eat as many vegetarian meals and meat. We both adore fennel, and know this would be a great dish we would both enjoy! Your photos are gorgeous of this tart! I just called you Judi! I’m so sorry Linda! Maybe more than one glass of wine involved? Maybe it’s time for me to try roasting some fennel…? 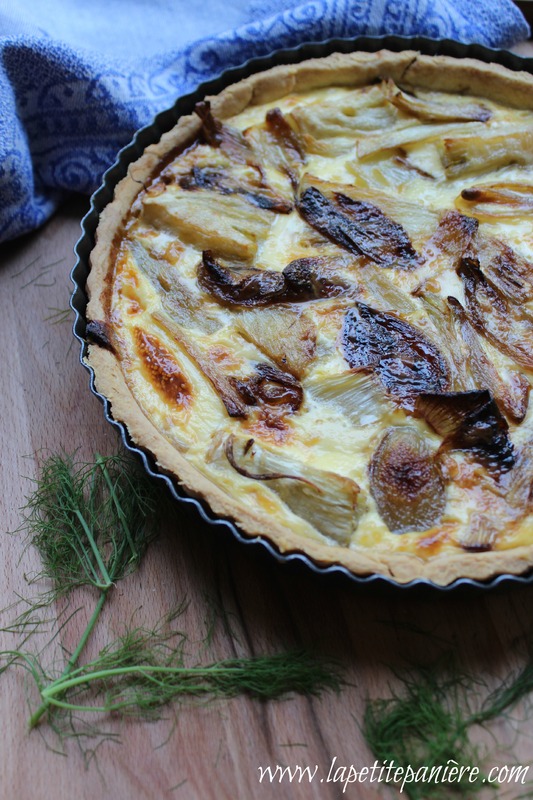 I can’t wait to try this– fennel is one of my faves, but have never had it in a Tart! This is so aromatic !! Delicious ! I love fennels! And most veggies. I think 🙂 Even when I don’t like a vegetable, I would still eat it. As long as it’s not overly bitter. But I don’t need encouragement to eat fennels. I grew them a few years ago but they came out scrawny, more like leaf fennels. I would still chew the stems 🙂 What you did here is amazing, Linda! This is so fabulous! This looks so wonderful Linda! 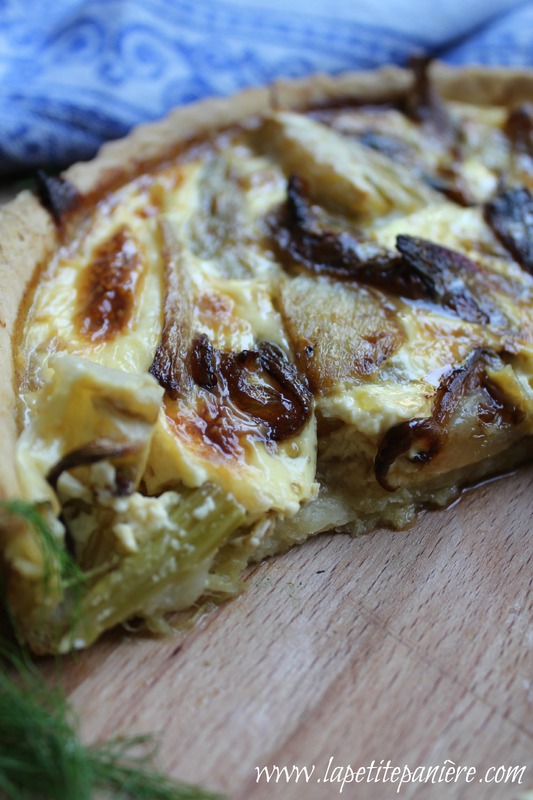 I adore fennel and can just imagine how delicious it would be in this tart. Yum! beautiful tart, I love fennel, wonderful! This fennel tart is so gorgeous and delectable. I like fennel and had it only in salads. Thank you for the recipe. I really like to bake one. Yum!